By choosing our orangery system you are buying a stylish enhancement of orangeries, the UK’s No. 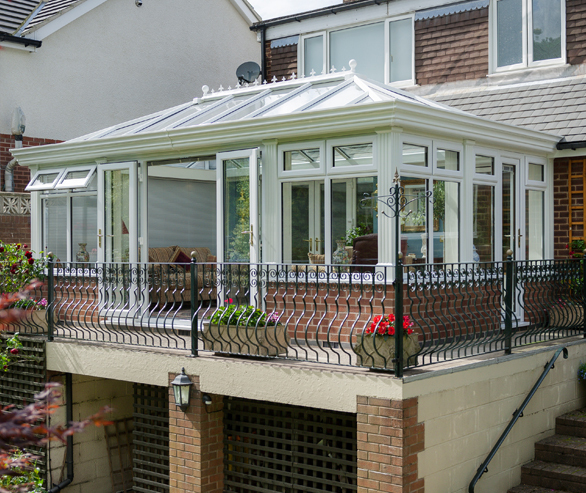 1 conservatory roofing system. 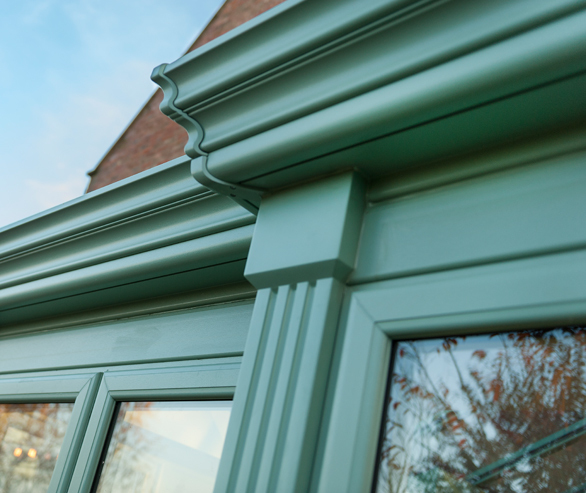 Decorative gutter fascias provide external ‘cornice’ detailing, whilst internal pelmet pods create an easy and practical former for plastering, prior to the fitting of downlighters or audio speakers. 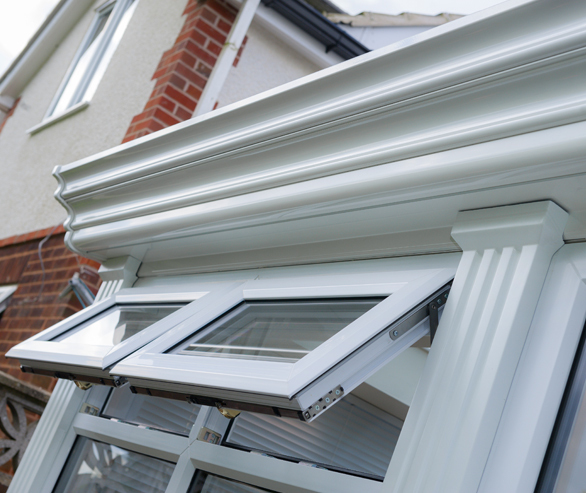 With a choice of ‘raised line’ or ‘low line’ solutions for internal aesthetics, Orangeries delivers all the benefits of the proven orangeries roof with added orangery style! 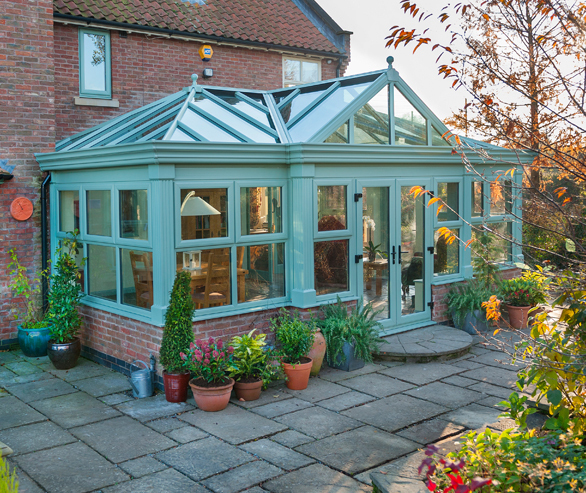 Orangeries has been passed by the Board of Agrément (BBA) to ensure that it can stand up to the most extreme weather conditions. 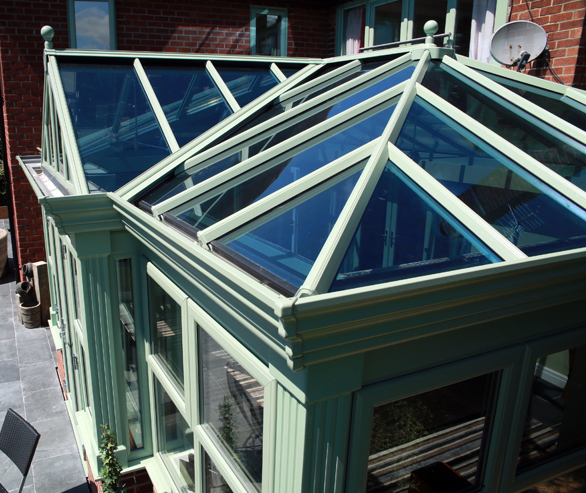 Solar control glass can be used on our roofs to help prevent the build up of heat during the hot summer months. The coating on the glass helps reflect the heat from the sun back to the outside of the orangery giving you a more comfortable and usable living space. The glass is available in a range of tints which allows the glass to absorb more heat, whilst the coating reflects the heat back to the outside.